I have to admit... watching all this Christmas stuff this month has been a real chore for me. For some reason I just can not get into the spirit of things this year. I know I usually have a hard time getting into the spirit of things every since my wife past away on Dec. 17th of 1995. (In 6 days she will be gone for 13 years!) But I am usually able to manage to somewhat get into the spirit of things. But not this year... for some reason I just can't seem to manage. I love the idea of Christmas and usually the day pans out well, but the hype and the rather naive message of happy families in the run-up is tough for me too. My Dad fell ill near Christmas 2003 and died a few short months into the new year. Almost five, Pete, and it's just gone so damn quick. And this year, well I just lost a very dear Aunt only last week. A huge part of my life has gone with her and one of the last links with my Dad. Despite being very fit for her 77 years, she had a stroke at the beginning of November and simply gave up. She was strong, but would have been miserable disabled. She had a huge extended family but no kids and my Uncle passed ten years ago, so I was probably the closest and she made me next-of-kin. Pete, I've now lost several people over the years who were very important to me, but only now do I understand what the stress is like dealing with all the arrangements. How I'm supposed to start thinking about Christmas, I have no idea! I can't begin to imagine how it must have made you feel. Bless you and Brittany for having done so well. I know I don't know you personally, but enough comes across this Interweb thingy to show you've done brilliantly under the circumstances. There's a better life around here somewhere for some of us. Whichever one finds it first, lets agree to shout up as soon as it does. But for now, lets have a Happy Bloody Christmas, whether we like it or not! Sorry to hear about your loss Jon. It really does get to you at times... believe me I know. But I still do my very best to manage a smile on my face during this time of the year for the sake of my daughter. It is still a very special time of the year for her... and I don't want anything to change that. Being within a week of the anniversary of my wife's death I tend to have a bad week or so. I just need to fight through it like I have every other year. I did get to have a little bit of a smile on my face today though... a friend and I agreed to exchange gifts this year... and agreed we would open them when they arrive. Well... what I ordered her arrived today... so I got to call her and talk to her while she opened the gifts I sent her. She was thrilled with what I sent her... so that made me feel pretty good for a little while. She is a horror fanatic like I am... so I got her a DVD set with the first 4 Nightmare on Elm Street movies... and an episode of Masters of Horror. But it also made me realize I am also going through withdraws... I haven't gotten a new DVD in over a month now! When muscular, miserly millionaire Blake Thorne is struck on the head while wearing a Santa Claus suit, he awakens with amnesia -- and believes that he's actually Kris Kringle! And this strapping Santa is going to need his brute strength... When muscular, miserly millionaire Blake Thorne is struck on the head while wearing a Santa Claus suit, he awakens with amnesia -- and believes that he's actually Kris Kringle! And this strapping Santa is going to need his brute strength for more than just carrying a sack filled with gifts. Why? Because the aptly-named Frost, an evil mad scientist, wants his goons to evict the residents of an orphanage. Can this guardian angel save the kids from homelessness during the holiday season? I felt like watching a Christmas movie that I never seen before... so I checked the list on Comcast On-Demand to see what kind of Holiday shows they had available. Unfortunately I decided to watch this one. Talk about a stupid... silly movie. I am actually surprised I could make it through it. This is one holiday movie I definitely will NOT be adding to my collection. Scary Christmas: During Yuletide, a demented toymaker uses android scientists for a nefarious purpose. Until reading an old page on TVShowsonDVD.com I completely forgot there was a Christmas episode of Wonder Woman. 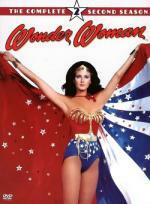 It is a cute, fun episode... and as always... Lynda Carter looked fabulous in it. And she even got to play an extra part in this episode... as there was an android of Wonder Woman made in this episode. So it was pretty cool to watch her fight herself. Christmas again? Where did the time go? MR. MXYZPTLK, on imp from the fifth dimenssion, makes every day Santa's day. Three of the four years that Lois and Clark was on the air they had a Christmas episode. And out of the 3 Christmas episodes... this one is my favorite. I thought the story was a lot of fun... and thought that Howie Mandel was a great choice as MR. MXYZPTLK. Tim wants to beat neighbor Doc Johnson in Christmas lighting and puts a giant Santa and sleigh on the roof. But when the Santa starts rotating, it practically beats up Tim. Mark is working on his list for Santa when Randy and Brad tell him that Santa is dead. Mark doesn't believe it and asks Tim and Jill, who answer the best they can. This is a fun episode... I definitely enjoyed it. But it could have been better. 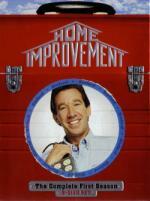 The Home Improvement Christmas episodes don't seem to be done quite as well as their Halloween episodes. But is a good watch for the Holidays. Booth and Brennan investigate a mall Santa named Kris Kringle who was found dead by two elves. A series of clues makes the murdered mall Santa seem like he's the real deal. The three ladies try, once again, to fool and scare people on the streets of Britain and show new surprisingly funny and strange clips. Disappointing to the extreme, this series should have been scrapped after the 1st dismal episode, and this xmas 'special' is awful, barely raising a laugh the whole programme. I found it embarrassing, crass and pointless. Dawn French dons her cassock and collar once more for two very special episodes of The Vicar of Dibley, one of the BBC's most popular comedies. It boasts the brilliant comic writing of Richard Curtis (Love Actually, Bridget Jones's Diary) and a gifted ensemble cast including Emma Chambers (Notting Hill) and Richard Armitage (BBC's Robin Hood). The Handsome Stranger - Gerry is fed up with all the "townies" buying weekend cottages in Dibley -- that is, until she meets one particularly charming newcomer. Could he be the one? Or is it Gerry's destiny to end up heartbroken in another 6-foot deep puddle? The Vicar in White - After presiding over the marriages of hundreds of other people, it appears Gerry's big day has finally arrived. Appearances can be deceptive, however, especially when the eccentric residents of Dibley are doing the planning! 'Nice' finish to a great series, I had expected a more dramatic climax, but this appeared to have been written for sentimental reasons as opposed to any impactive comedy. Couple of belly laugh moments, but on the whole you titter through this. All the favourite Disney stars feature in this Christmas special which contains 7 short stories and a healthy dose of Christmas spirit. Disney special featuring 7 short cartoons, the best being the chipmunks, all linked to a festive holiday theme. The best part of the dvd is the games in extras, this is an ideal dvd to plonk on and keep kids happy for an hour whilst you do something else. Ross starts to panic when Mona gets an idea to send out a holiday card for the two of them, thinking that their relationship is starting to move too fast. Chandler's newly divorced boss tries to get Monica and Chandler to come out to dinner with him, but Monica can't stand him. Rachel's hormones start acting up due to her pregnancy, causing her to hit on almost every guy she meets.